When it comes to your tools, you want to be sure you have the best. Your measurement tools can mean the difference between success and failure, so it's important they're working in top shape. You want to make sure you get your money's worth and have a piece of equipment you can use for many years. 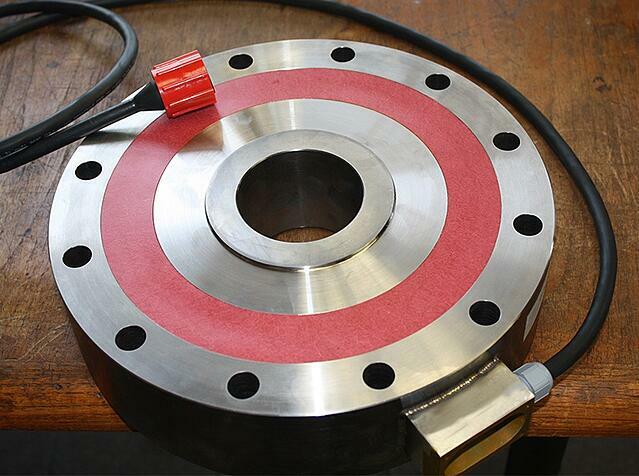 Hydraulic can provide more benefits than any other load cell. Here are five reasons hydraulic technology in your load cells is needed. Unlike digital load cells or strain gage cells, hydraulic cells are completely immune to any electrical damage. Though most load cells use a well-establishedstrain gage technology that's been around more than 40 years, they are still vulnerable to the most common reason load cells fail -- lightning strikes. Because this technology relies on keeping the hydraulic fluid sealed in, it creates an air tight seal so that no additional water can get in and cause damage. Hydraulic cells have the ability to be totally submerged in water and still work. Hydraulic load cells can withstand in extreme conditions. Some hydraulic loads cells can still operate in -60 degree temperatures. Hydraulic load cells have been proven to stand the test of time far above the other types. Because of this, in the long run, they have proven themselves to be far less expensive to own when compared to strain gage or digital load cells. In addition to a longer lifespan, hydraulic load cells also typically come with a lifetime warranty and require extremely low maintenance. Being that they are waterproof, shock-proof, resistant to weather damage, and do not become damaged in explosions. This means it is highly unlikely you will ever have to pay out of pocket for a replacement. Be sure the job gets done right every time. You want the right tools for the job, and you want them to be quality equipment that didn't cost you half your house to buy. When it comes to measurement tools, there is no comparison to hydraulic load cells. For more information on load cells, please visit sensing-systems.com.